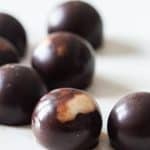 Keto fat bombs are high fat, keto-friendly treats for anyone on a ketogenic diet. We have 3 different fat bomb recipes for you to make; Chocolate Peanut Butter, Chocolate Coconut Butter, and Chocolate Almond Butter. They are all delicious and so easy to make! 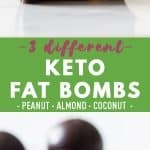 Low carb, high fat, no-bake treats, keto fat bombs are a way for keto dieters to consume enough fat macros. 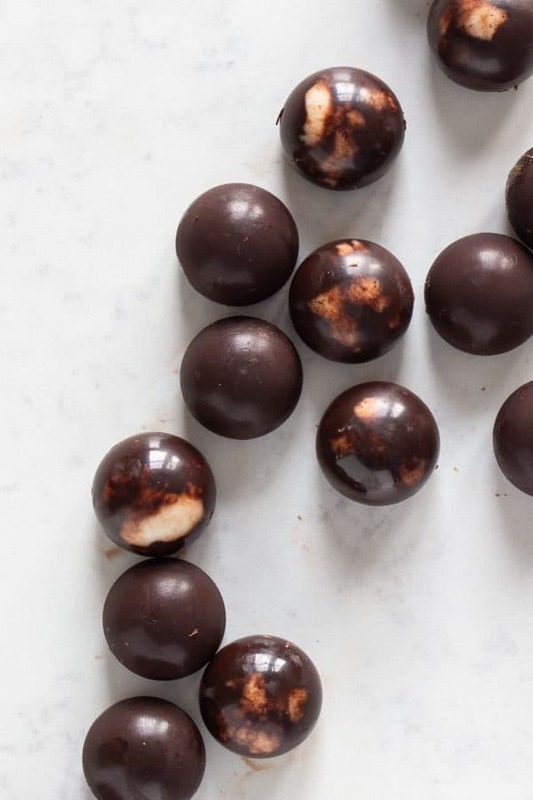 They are decadent, rich, chocolaty, and low in sugar. As such, they’re perfect for any keto dieter who enjoys rich desserts. 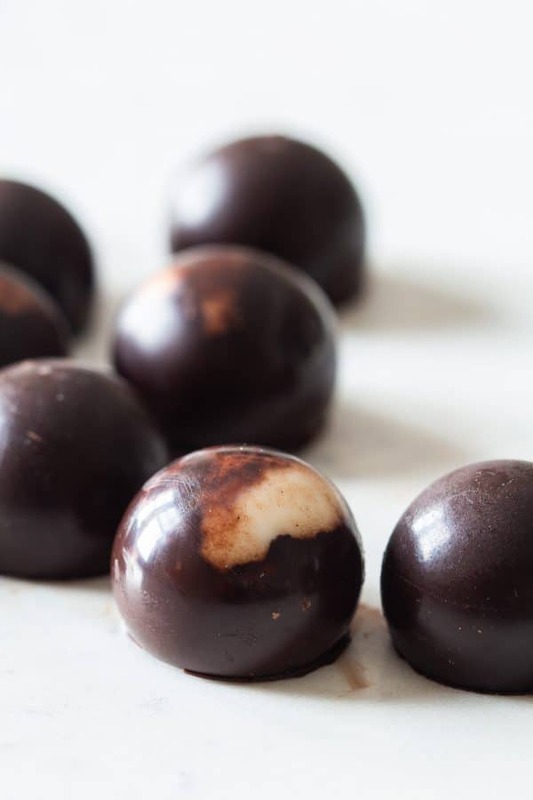 Since they aren’t overly sweet, keto fat bombs are perfect for eating any time. Some people on a keto diet use fat bombs to help curb cravings for sweets while others have them with a meal. They’re delicious for breakfast, afternoon snacks, before or after a workout, or as a replacement for carb-heavy snacks. They can be made in many different flavor combinations, and they are really convenient to have on hand. Depending on who you ask, the answer to this question may vary. Fat bombs are 90 percent fat, so of course, they play an important role in helping you stay in deep ketosis. Some nutrition experts suggest using fat bombs purely for snacks, as part of a ketogenic diet. That being said, staying in ketosis requires consuming 70 percent of your daily calories in fat which can be challenging. So, eating a couple of fat bombs with every meal can help you to achieve your fat intake goal. As a result, they can help you stay in ketosis, effectively boosting your overall weight loss! The recipe card below explains how to make 3 different keto fat bomb recipes. They are Chocolate Peanut Butter, Chocolate Coconut Butter, and Chocolate Almond Butter. 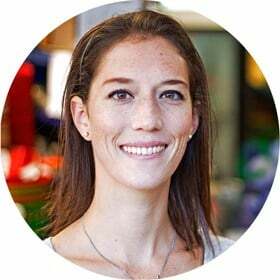 For anyone with a coconut allergy or simply an intolerance to it, there are 2 options for bases: coconut oil or cocoa butter mixed with cocoa powder. We also have 2 different choices for sweeteners: monk fruit sweetener and liquid stevia. When it comes time to remove fat bombs from their mold, having them in a silicone mold makes the job much easier. They’ll pop right out, and cleanup couldn’t be any easier! 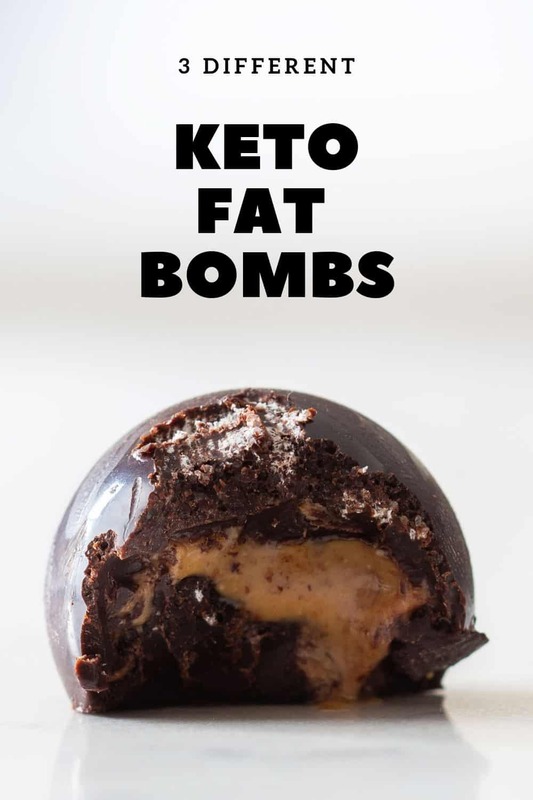 Keto fat bombs are high fat, keto-friendly treats for anyone on a ketogenic diet. We have 3 different fat bomb recipes for you to make; Chocolate Peanut Butter, Chocolate Coconut Butter, and Chocolate Almond Butter. Put a glass or stainless steel bowl over a pot with simmering water and melt cacao butter or coconut oil until completely liquid. Add monkfruit sweetener or stevia and cacao powder and stir until well combined. Remove from the heat and stir until cooled down but still liquid. Fill a silicone mold about 2/3 of the way up with your liquid chocolate, then add 1/2 teaspoon coconut butter, 1/2 teaspoon peanut butter, or 1/2 teaspoon almond butter to your mold's cavities and then pour more chocolate on top until you reach the top of the cavities. Freeze for 30-60 minutes, pop out of the mold and enjoy!